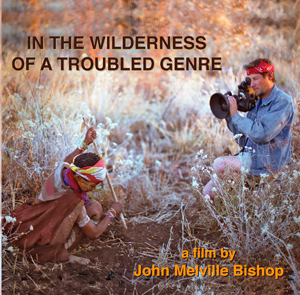 In The Wilderness Of A Troubled Genre is a conversation over time and space with ethnographic and actuality filmmakers recorded 2000-2012. The film considers the ethos, practicalities, practices, and ethics of making films about real people across cultures. It includes pioneers in the field like Robert Gardner (Dead Birds, Forest of Bliss), John Marshall (The Hunters, N!ai:The Story of a K!ung Woman, A Kalahari Family), David MacDougall (To Live With Herds, Lorang’s Way, The Doon School Quintet), and Richard Leacock (Primary, Happy Mothers Day, Ku Klux Klan-Invisible Empire); established filmmaker anthropologists such as Paul Henley, Sarah Elder, Rolf Husmann, Metje Postma, and Michael Yorke; as well as emerging filmmakers. This is a spirited engagement with a filmmaking practice that continues evolving and challenging filmmakers today. To facilitate teaching, a transcript of the film is included as a PDF file on the disc, and has markers of where the chapter breaks occur. (This) video is at once an invaluable account of defining values, practices, challenges and debates in ethnographic film over the last half century and a folk artifact, an oral history of the camera people. Note on packaging: This is a replicated DVD in an eco friendly cardboard sleeve that replaces plastic cases on new Media-Generation releases.